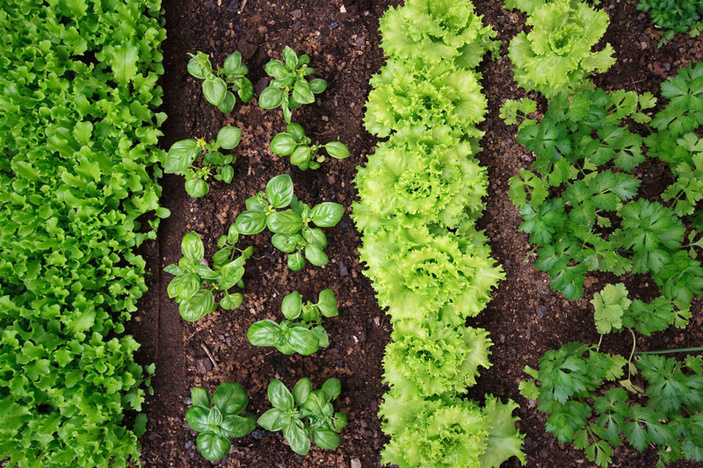 For plentiful produce later, start planting in February. Ready to get your hands dirty? Our February to-do list might make you hungry with all the goodies we get to plant. Bill Luedecke and daughter Martelle offer advice to Highland Lakes gardeners. 1. Does the space where you are going to plant have proper drainage. Without essential proper drainage, plant roots might become water-logged, often leading to root rot. Not good; particularly this year with the extra moist winter we’ve had. 2. Test your soil. Even if you tested your soil last year, we highly suggest testing again. The extreme weather conditions (drought, fire, flood) of 2018 might have directly affected the health of your soil. 1. February is one of the best months for planting trees, shrubs, ground cover, perennials, and vines. 2. Veggies to plant: artichokes, asparagus, onions, greens, lettuces, spinach, radishes, carrots, beets, bok choy, collards, kale, peas, turnips, leeks, broccoli, shallot bulbs, cabbages, potatoes, Brussel sprouts, cauliflower, celery, English peas, and Swiss chard. 3. Tasty herbs to plant at this time: calendula, chervil, cilantro, chives, dill, parsley, feverfew, oregano, sorrel, thyme, garlic, and chives. If/when the weather drops below freezing, protect your chives and cilantro. 4. February fruit plants to choose from: apples, peaches, pecans, pears, pomegranates, persimmons, figs, almonds, grapes, strawberries, raspberries, and blackberries. 5. Did you sharpen your pruning tools last month? Prune dormant perennials, rosemary, oregano, and roses. Next time, we’ll cover how to prune your fruit trees. 6. To avoid oak wilt do NOT prune live or red oaks at this time. 7. Pretties to plant: alyssum, calendulas, cannas, daylilies, daisies, gladiolas, poppies, larkspur, pansies, petunias, pinks, primrose, and snapdragons. 8. Have you seen bluebonnet sprouts everywhere? Raise the deck of your mower so the blades spin ABOVE your sprouts. Mow OVER your bluebonnets to remove dead or competing invasives so your wildflowers may flourish. All the conditions and variables are in place for a bountiful wildflower-filled spring! 9. Do NOT fertilize your bluebonnets. We’ve already made this mistake for you! Interesting fact: Bluebonnets disperse a three-year supply of seeds each time the pods spring open. Within one pod, some of the seeds will germinate the next year, some in two years, and some in three. Contact Bill Luedecke at The Luedecke Group Realtors at (512) 577-1463 or email him at bill@texasland.net. Contact daughter Martelle Luedecke at Luedecke Photography at (512) 769-3179 or luedeckephotography@gmail.com.